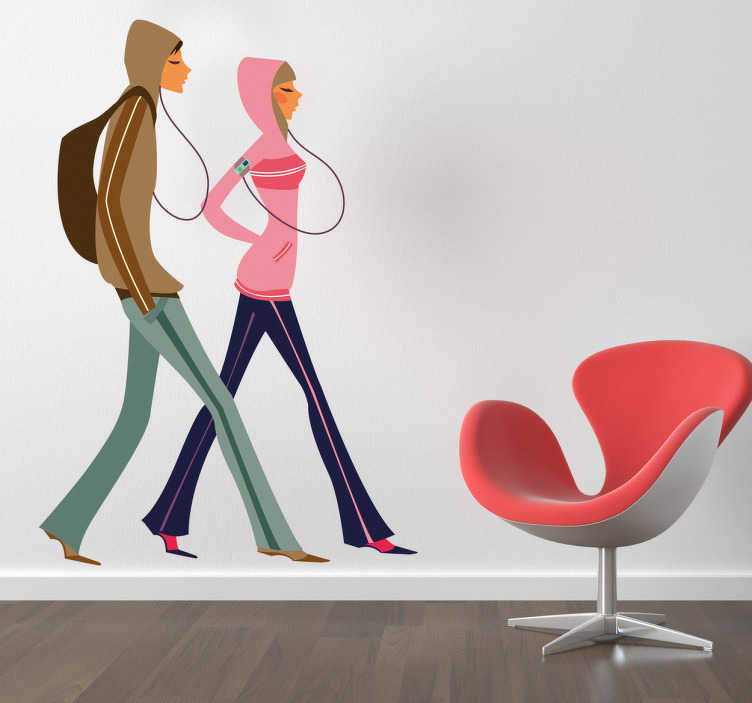 A brilliant fashion wall sticker illustrating a stylish couple wearing outdoor clothing. Superb shopping decal to decorate the sports section in your store. A high quality vinyl decal that your customers will love! Easy to apply and leaves no residue upon removal.